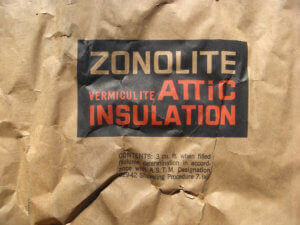 Does your vermiculite insulation contain asbestos? contain amphibolic asbestos fibers that may cause health problems. 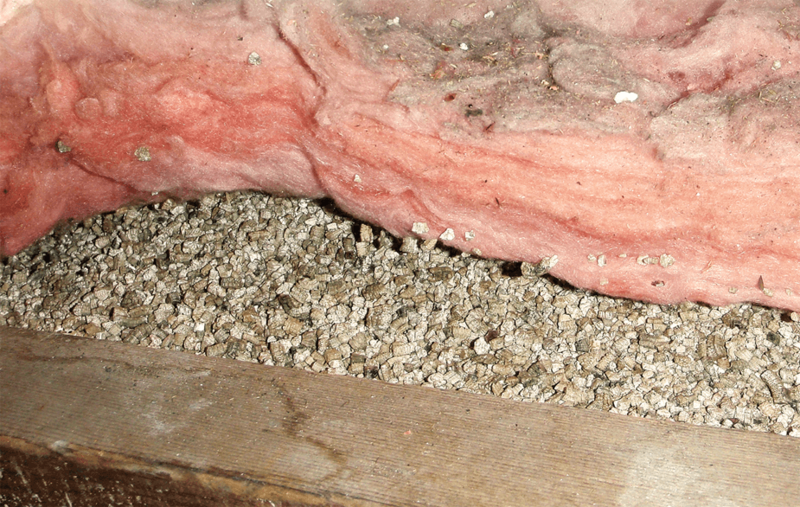 Depending on where it’s from, vermiculite insulation may contain amphibolic asbestos fibers that may cause health problems. Asbestos or vermiculite? If your home is insulated with an old vermiculite insulation product, it is justified to believe until proven otherwise that it may contain amphibolic asbestos. However, the mere presence of vermiculite insulation does not automatically mean that asbestos is present. 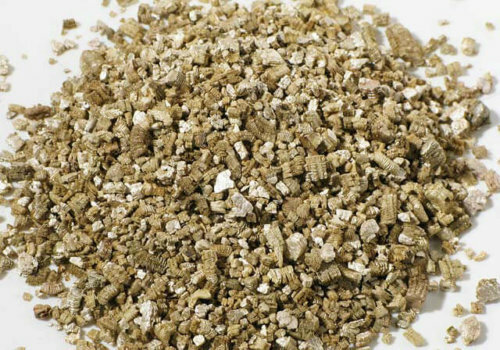 Vermiculite is a mica-like ore used in the manufacturing of a wide range of products thanks to its insulating and flame retardant properties. For its part, amphibolic asbestos fibers are very resistant to high temperatures, but are problematic because of their friable nature. HOW CAN YOU MINIMIZE THE RISKS? Want to save time and money? Our complete vermiculite (asbestos) test kit allows you to follow a step-by-step protocol to make the sampling yourself and ship it to the laboratory. The price includes taxes, shipping and lab fees. * See details below. Still have questions? You want more information before purchasing? You are not familiar with online purchasing or are not certain you have vermiculite in the attic? Contact us at 514-286-0550 and we will answer all your questions. Don’t feel like doing it yourself? No problem, our trained technicians offer a complete service. They will take the sampling, send it to the lab and forward you the results. Don’t worry about a thing, our inspectors are here for you! The cost of the kit purchased online includes all taxes (GST-QST), shipping fees, lab analysis fees, a pre-filled laboratory form, the sampling procedures, a plastic envelope (for vermiculite sample) and prepaid return envelope for the laboratory. Personal protection gear (dusk mask, safety goggle or latex gloves) are not included. Following the shipping of the sample to the lab and upon reception, a report will be sent to you within approximately 7 to 10 days. The customer is responsible for making sure that the procedure provided is followed. The purchase of an online kit does not include the on-site sampling service by a technician. However, this service is offered by Legault-Dubois for an additional fee. Legault-Dubois disclaims all responsibility for sending the sample to the laboratory and interpreting the results. The results obtained concern only the presence or absence of asbestos in the vermiculite insulation and does not pretend to evaluate the quality of indoor air at any time. This kit is for vermiculite insulation only. Floor or ceilings tiles or other flame retardant solid materials are excluded from this test. Is also excluded from the service: cost estimate of possible works or decontamination works.